Lat: 36.21205° N Lon: 115.19395° W Elev: 2188 ft.
Clear. Lows 58 to 62 on the west side of the valley... 61 to 64 on the east side. North winds up to 10 mph increasing to 10 to 15 mph after midnight. Sunny. Highs 84 to 87 on the west side of the valley... Around 90 on the east side. North winds 10 to 15 mph. Clear. Lows 63 to 66 on the west side of the valley...64 to 67 on the east side. Northwest winds up to 10 mph. Sunny. Highs around 90 on the west side of the valley...90 to 93 on the east side. Northeast winds up to 10 mph. Clear. 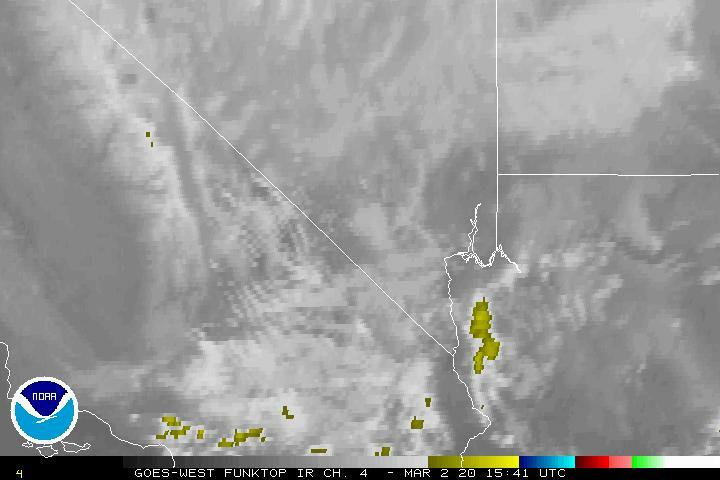 Lows 66 to 69 on the west side of the valley...around 70 on the east side. 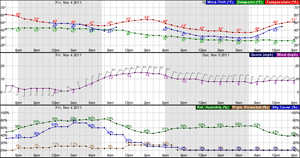 Winds generally light becoming northwest up to 10 mph after midnight. Mostly clear. Lows around 70. Highs 93 to 96. Partly cloudy. Lows 63 to 66. Highs 84 to 89.